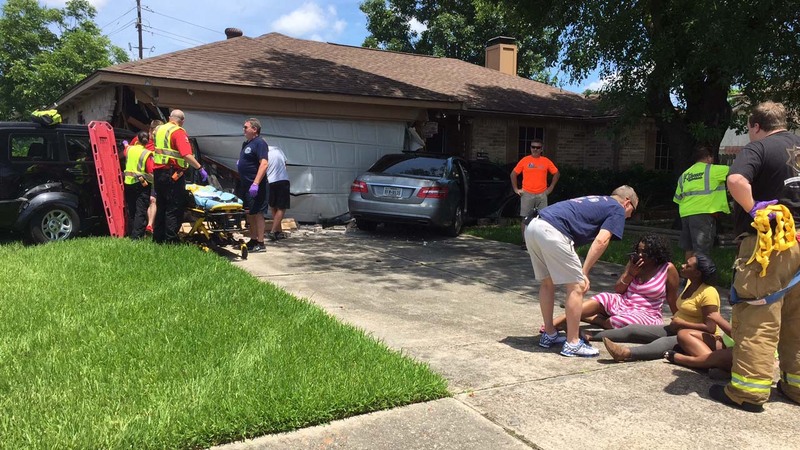 HOUSTON (KTRK) -- Two vehicles crashed into a house in north Houston Sunday afternoon, authorities say. The accident happened around 2pm in the 4700 block of Louetta near Bent Elm. A Mercedes and Dodge SUV were travelling eastbound on Louetta when the SUV driver apparently lost control, ran into the garage of the house and pushed the Mercedes into the garage along the way. The Ponderosa Volunteer Fire Department responded to the accident. Several people were transported to the hospital with non-life threatening injuries. So far, no charges have been filed or tickets have been issued.